Photographs appeared in the Rotorua Photonews Issue No. 33, Jun 4, 1966 pages 1-8 and Cover. 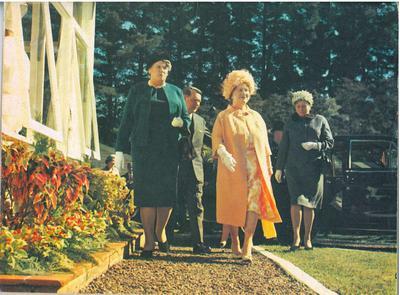 This photograph of the Queen Mother appeared in the Daily Post, 27 April 1966, enjoying the races at Addington. She arrived in Rotorua in early May 1966.